This week’s goals include celebrating our “baby’s” fifth birthday, and I am feeling a little weird about that. It seems to launch us into a whole different realm of parenting. We go from being parents of very young children, preschoolers even, to being parents of school-age children. Since kindergarten is a full-time affair here, that is huge. 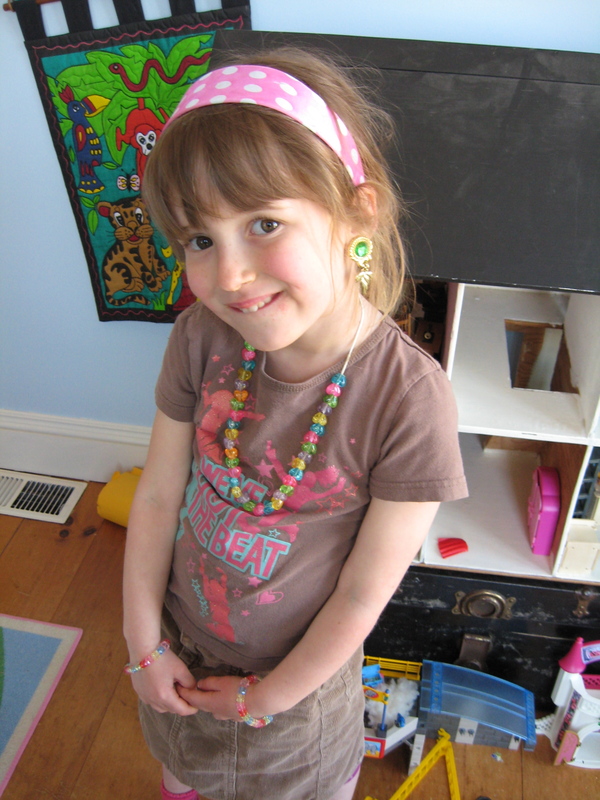 It means both of our girls will be gone off to school in September, leaving at 8 a.m. and back home at 3:40 p.m. It means I am no longer in the baby-toddler-preschooler-mom’s club. So how do I feel about that? I am feeling a bit ambiguous, to be sure. It means letting go of all that is wrapped up in that pre-school period, including my role as a part-time worker and full-time parent. Of course parenthood is always full-time, but the time I have spent at home with the girls the majority of days is pretty much over, and this brings with it a sense of sadness. Already I have moved into the role of more work and less time at home, as Dan has been more the full-time parent this year. I feel that this summer is the end of a certain period in our lives that will never come again in quite the same way, but I suppose that can be true of every moment in our lives. 1. Grow more of our own food. Gardening is earlier this year than it has been in years, so we are making the best of that. The greens in the cold frame are cropping very nicely and we are all enjoying the freshness every day. Ava and I actually got most of the garden planted the other day, including my first attempt at growing tomatoes from seed. So far, so good, and I already have visions of the gorgeous tomato sauce made with our own roma tomatoes and red island garlic. 2. Get out camping more. Now that we have resolved that a camping trailer is not in the cards this year, we will enjoy our lovely new tent instead. Destinations? 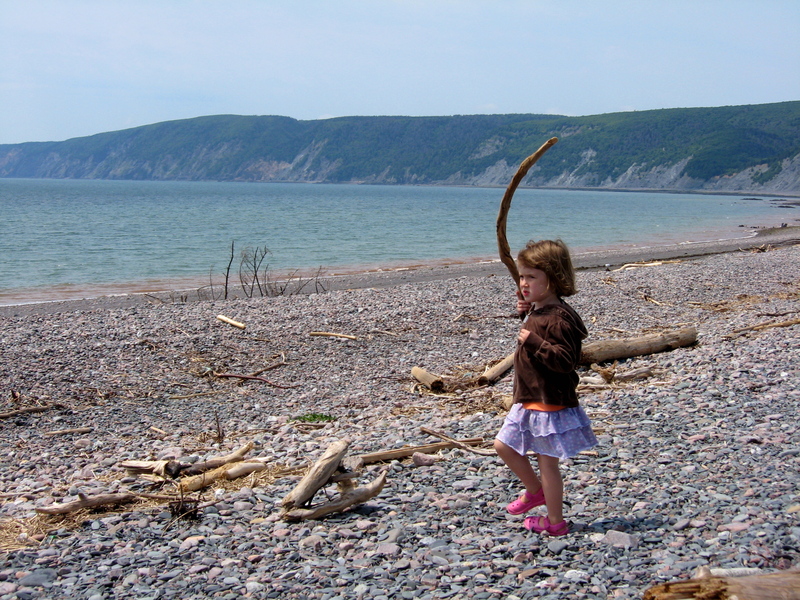 Wish list includes Cape Breton, Fundy National Park, Graves Island, and as always, the Annapolis Valley. 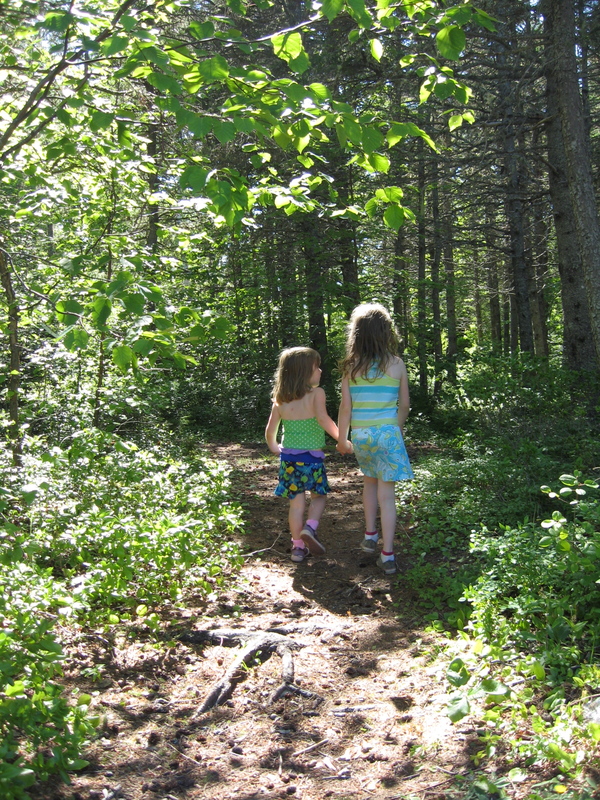 The girls’ legs are longer this year which means we can do more hiking trails without having to resort to carrying tired (and heavy) little ones. 3. Spend as much time outdoors as possible. We all love geocaching, so that is definitely on the summer bucket list. It is such a great family-friendly activity that seems to work for all ages. It gets us outside, discovering many gorgeous spots off the beaten track, and the girls always feel like they are on a treasure hunt. Plus, with many hundreds of caches in every province, we can do it anywhere and everywhere we have our GPS. 4. Take holidays. Forget about work completely and absolutely. Sometimes I think we feel somewhere deep inside (or maybe not so deep) that our workplace will fall apart without us, that chaos will ensue the minute we leave, and that all sorts of crapola will build up there to haunt us when we return to work. It may be disconcerting to admit, but even without you everything just continues on just fine. There are lots of competent people holding things together just as well as me. 5. Hang out. Be a kid. Go to playgrounds every week. Eat ice cream. 6. Take better care of our bodies. We all have bikes now, so I really want to get out biking the trails as a family. I was never a physically active kid (sports??? Ewwwwwww!) but I want to provide the example of being active to my girls. I am even attempting to take up running, and in some sick and twisted way I like it. Of course I am only running about five minutes, then walking, then running. But still, the only thing that could have motivated me to run in the past was if some horrible purple monster were chasing me. And that never happened, thankfully. 9. Read lots of fluffy books. Two comments – will you be making some fresh salsa in the summer when we visit (Elise says ‘yalsa’)? We’ll bring the nachos and cheese? Also, a great fluffy read is the Mortal Instruments series by Cassandra Clare (I know, teen fiction). Much better story-telling than Twilight. Also, anything by Henning Mankell (check out the series Wallander starring Kenneth Branagh, based on the books – we are addicted). Yes, fresh salsa! Will do just for you. Can’t wait!